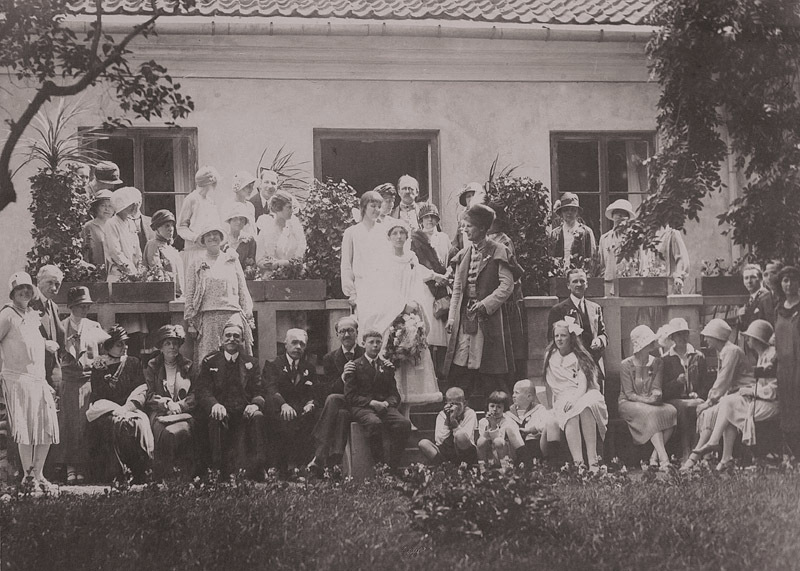 Above: Aleksander Moes and Barbara Sobańska’s wedding, 1927. The Moeses, of the Moes coat of arms, were an Evangelical Dutch noble family (szlachta) from the Rhineland, dating back to the 17th century. Having settled in Poland in the 19th century, they bought properties in Choroszcz, Wierbka, and Pilica, making considerable profits in the textile industry. The landed gentry were commonly defined as landowners or leaseholders of estates over 123 or 347 ac, depending on the region of the country. Most of them were noblemen and descendants of former knights whom the rulers granted land for their service back during the Middle Ages. With time, agriculture became the landed gentry’s principal source of livelihood, with many estates remaining property of the same family for a few generations or centuries. In the 19th century wealthy bourgeois and professionals from Poland and other countries began to join the landowning community, quickly integrating with the “old” landowners of noble origin through purchase of land or marriage. The population of the landed gentry in interwar Poland is estimated at 110,000, that is, 0.36 per cent of the total population of the country. Popularly perceived as the elite of the nation, the landed gentry saw themselves precisely in that way.